When it comes to religious architecture, most designers agree that the form has an obligation to be symbolic. We see this in civilisations gone by – from the Mayan ziggurats to Egyptian pyramids. In such cases the aesthetic extravagance of architects is forgiven in service to the Supreme Being they are attempting to freeze in a feat of architecture. 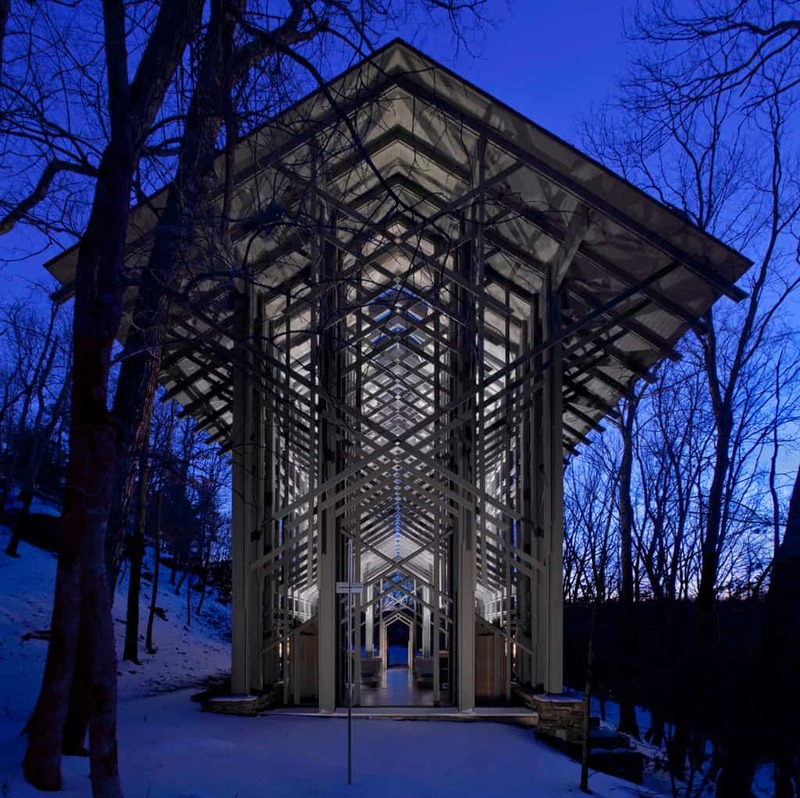 One such chapel in Eureka Springs, Arkansas, USA stands out – an extraordinary essay of scale and proportion; context and material; light and shadow. The client Jim Reed, a retired schoolteacher, had bought the parcel of land with intentions of putting up a retirement cabin. However, with the scenic view along the highway that caused lots of tourist stops daily, he thought twice. 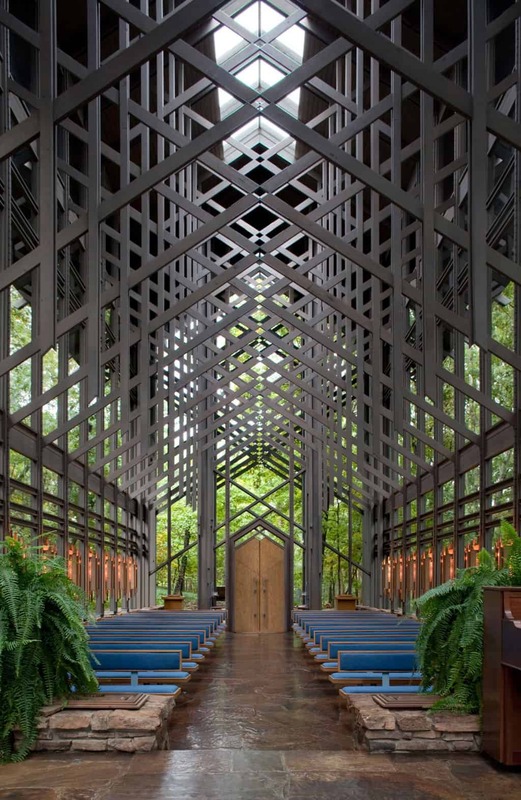 He envisioned a non-denominational chapel, a spiritual sanctuary of sorts – one that Euine Jay Jones would later describe as a “place to think your best thoughts.” One may argue that it is this simplicity, this genius of place; that draws 2000 daily visitors – an architecture that everyone can understand and appreciate. Jones, an apprentice of world-renowned architect Frank Lloyd Wright, set out to design a “forest within a forest.” It is this concept that stems strongly from its immediate context that led him to detail a repeated column and truss structure with a massive skylight at its pinnacle. The play of light with the apparent rhythm of the trusses, together with the weightlessness of an interior that is flooded with light; leave the ‘worshipper’ standing in awe. The subject gets a sense that they are inside and outside at the same time – that they are simultaneously enveloped in space and nature. And it is when the aspects of form and space are blurred that architecture becomes truly memorable, even monumental. Is it any wonder then that over 6 million visitors have graced this space; and that the American Institute of Architects placed Thorncrown Chapel fourth on its list of the top ten buildings in the twentieth century?